If you have a 7-12 year-old in your household, chances are good he or she owns at least one iteration of the Nintendo DS handheld. The most coveted, the 3DS, is still on many holiday wish lists, and now that’s it’s been available for nearly two years, publishers have had time to develop some fantastic games for it. The 3DS is also backwards compatible, so it’ll play all those older DS and DSi games just fine. There are also great deals on some terrific downloadable games. 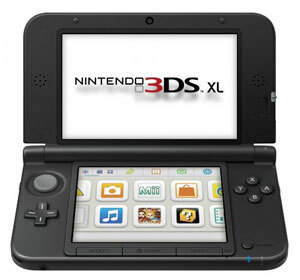 And if you’re really feeling generous, consider the 3DS XL ($199.99 on toysrus.com, $215.95 on amazon.com ), a sturdier handheld which has a 90% larger screen and far longer battery life than the standard 3DS. 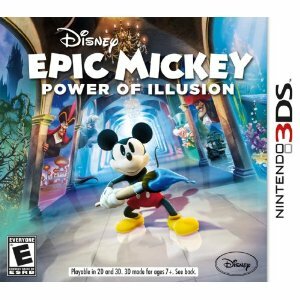 This game focuses on the fabled Castle of Illusion, which has fallen into Wasteland, an alternate world filled with 80 years of forgotten Disney characters, theme park and games. Players will take on the role of Mickey Mouse as he utilizes his magical brush to wield paint and thinner. Besides Mario-style jumping and running, the game allows players to sketch objects that transform into classic Disney-style 2D illustrations. Beautiful, clever stuff. Adventure Time: Hey Ice King, why’d you steal our garbage? Based on the hit Cartoon Network series, a boy (Finn) and his shape-shifting dog (Jake) wake up one morning to find their trash stolen by the Ice King who is building a Garbage Princess. The heroes embark on a funny, oddball adventure presented in old-school fashion that complements the show's simple art style. 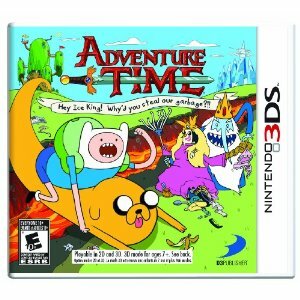 Packed with quirky treasures, side-scrolling action, quests and puzzles, "Adventure Time..." is a must for show fans, and great even for the uninitiated. Not a game, but an interactive app that teaches real world art techniques to anyone at any age (from about seven) or skill level. Using the stylus and 100’s of tools - from graphite to paints, pencils and pastels – artists have access to 30 lessons of varied difficulty. 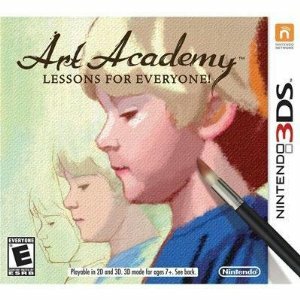 Or, users can also simply use Free Paint mode to play, or work off reference photos taken with the Nintendo 3DS Camera. There’s a remarkable amount of depth and skill building here that can be easily applied to any drawing or painting. 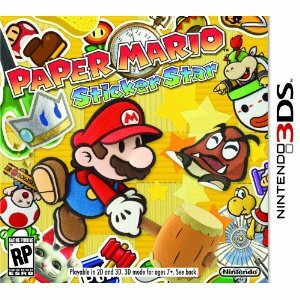 In this Mario adventure our hero and every enemy and environment takes on the look and feel of paper. Everything looks like a papercraft diorama, with depth added by the 3D feature. Stickers collected throughout the vast and varied environments give Mario special powers during turn-based battles. Expect lots of clever puzzles, humor and exploration, to boot. 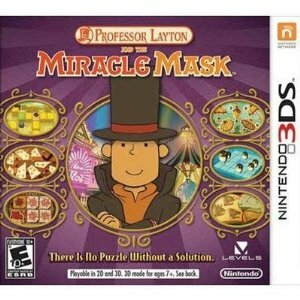 This is the fifth Professor Layton release from Nintendo, but it’s the first in the series to use a 3D visual style. The signature puzzles – the series is all about puzzles, hundreds of them - have also taken on a third dimension, and the story is as mysterious as ever. A worthwhile investment this holiday season for kids that like a little brain twisting fun. The original version, released for the Nintendo 64 console, is still considered one of the greatest games ever. The game introduced many gamers to open-world gameplay, with tons of different locales to visit. 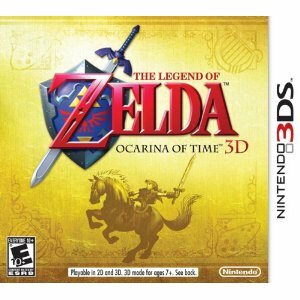 In classic Zelda fashion, you'll get all kinds of gadgets and upgrades to play around with, and you'll do it all in stunning 3D with completely redone graphics and character models. Ocarina of Time is an ingenious, fun and a true classic, and it's never looked better than in this definitive version.